Have you ever looked at a home decor magazine and everything looks perfect? 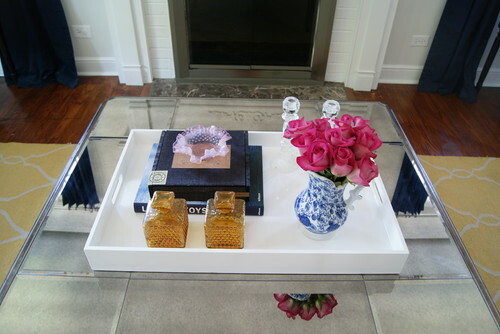 The coffee table is the centerpiece of any living room. But it’s usually the spot where the remotes reside, the magazines get thrown onto, and the feet rest upon while watching TV. 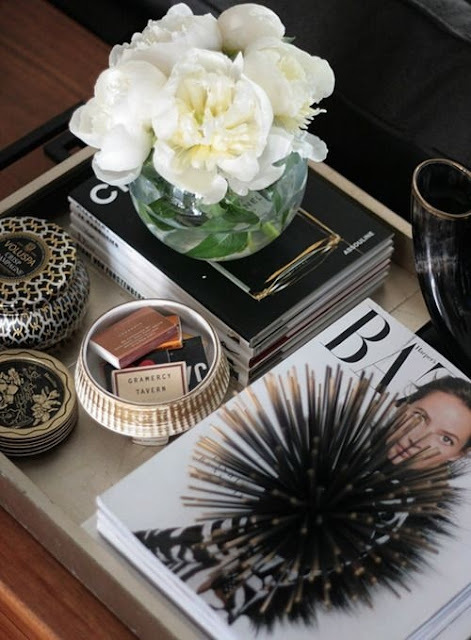 But a coffee table can be so much more. Whether your table is a DIY garage sale find or a statement piece you splurged on, it’s worth it to take the time to decorate it as you would any other room in your house. Incorporate something that is personal to you or something you adore. For example, display a trinket from your most recent vacation or a unique memento from the past. This item will add some quirkiness and personality to the table. Decorate with accent pieces that will engage your guests. Stacking books gives the height you need to balance your coffee table which makes it more pleasing to the eye. Also use books that will entertain your guests. Books about photography, beauty, architectural, and even personal scrapbooks are safe choices. 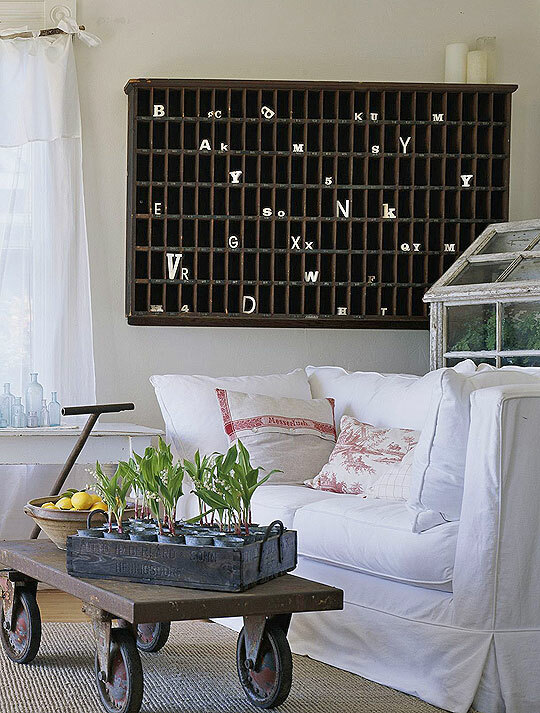 Using a tray not only breaks up a large coffee table but also organizes the remotes and can be used to display more interesting treasures. There is nothing that I love more than to walk into a room and smell fresh flowers. 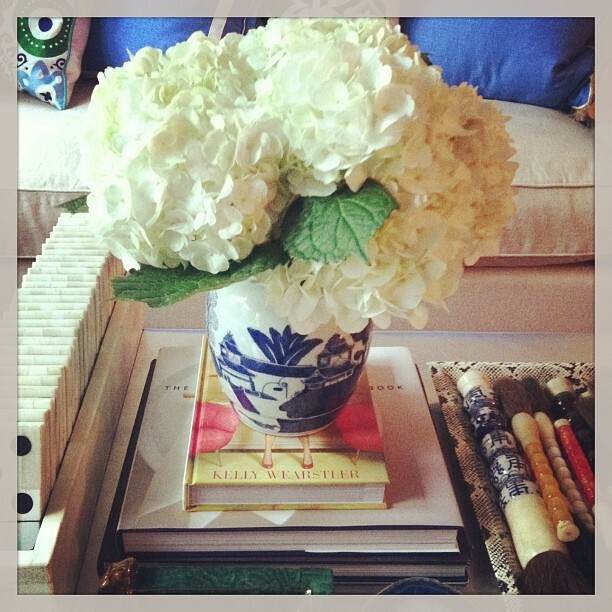 Using a medium size vase with beautiful flowers will add a special touch to your room. If you are wanting something that last longer try using plants or faux moss balls to incorporate nature. 5. USE SOMETHING UNIQUE FOR THE TABLE. 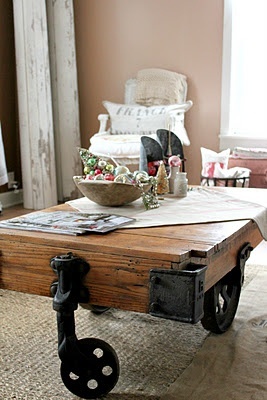 Instead of using a traditional table, try using something like a trunk or a Henry coffee table. 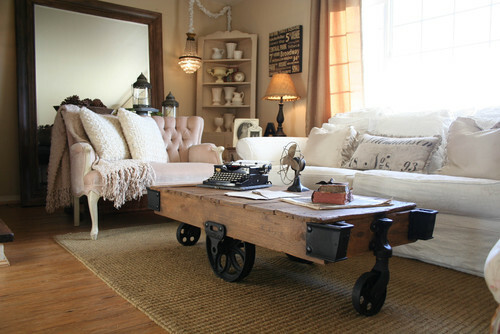 As with anything in decorating…..take your time to find the perfect piece for that perfect spot!! I hope these tips come in handy for you. I just finished the most unique coffee table to date! I am truly in love with it. To find out more details about this table click here!